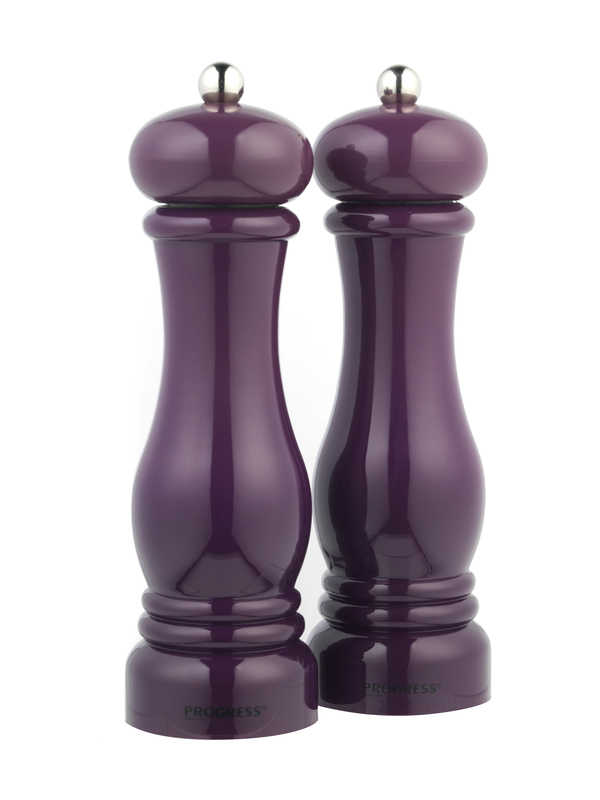 The perfect combination of old and new, these Progress salt and pepper mills have the classic capstan shape combined with a bold purple colour for a contemporary finish. Made from durable acrylic, the mills can withstand the demands of a busy kitchen and are perfect for seasoning as you cook delicious meals to enjoy with your family. The mills are designed with a ceramic grinding mechanism which is resistant to rust and provides you with advanced control as you add salt and pepper to your food. With a vibrant purple finish, the mills measure at 6.2 x 6.2 x 22 cm and are incredibly easy to refill with your choice of seasoning.